← GIL HODGES: Why Isn’t This Man in the Baseball Hall of Fame? It’s been a interesting year to say the least for the Mets and their fans. The pendulum has swung from elation at the performance of Matt Harvey to frustration at the sometimes ridiculous play of the bullpen. We have been treated to the “crash and burn season” of Ike Davis and the surprising resurgence of Marlon Byrd. 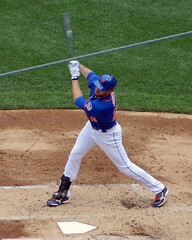 Zach Wheeler has shown flashes of what could ultimately be stardom and Ruben Tejada has been a huge disappointment. I have a few questions to be raised. Question 1…Will the Mets do with Matt Harvey, what the Nationals did with Stephen Strasburg? 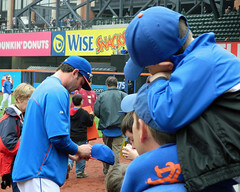 It’s probably a good bet they are going to limit Harvey’s starts and innings to protect the young ace from any undue physical abuse. Of course the monkey wrench in their plan could be if the team continues to cruise along at their present winning pace. They could find themselves in a battle for the last wild card spot in which case do theu up Harvey’s innings to try and win that spot? The opinion here is they will not even if that spot is attainable. Sandy Alderson is undoubtedly thinking long term and wouldn’t want to jeopardize Harvey’s health for a fleeting moment in the sun. Of course I don’t see the Mets making a realistic run in 2013 with the lack of outfield depth and middle relief we’ve seen all season. Harvey will get limited time. 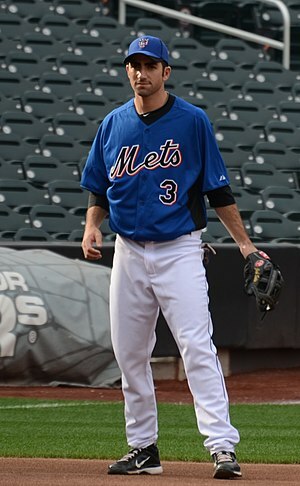 Question 2…What the heck is up with the once promising Ike Davis? This guy is driving Mets management and fan insane with his second consecutive perplaxing season.He is till struggling to get his average up to .200; the home runs have been few and far between; and Josh Satin is hitting over .320 last time I looked. The Mets insist Ike is part of the new core of regulars going forward but with his putrid play I’m wondering how long they can put up with his lack of production. The once “can’t miss” rookie of a few years ago is looking more and more like a classic bust. Too bad. Liked his defense and his RBI punch which are two qulities we have not seen at first base since a guy named Hernandez was manning that spot. Question 3…Should the Mets look to cash in a couple of trade chips before season end or wait for the big makeover in 2014? I don’t think they have the talent to do much this year so I would wait till the off season for the wheelin’ and dealin’ to begin. We’ve waited this long…let’s not rush into any silly deals now. Question 4…Speaking of Wheelin’ as in Zach…is this guy the real deal? The opinion here is yes and then some. He will probably continue to have an “on again”, “off again season” which to be expected at this point in his career. Give him time. He will fall on his face a few times…he will dazzle a few times…and next year he will be a lot more polished than he is now. I think he will win a few games through sheer talent and athletic ability. He still needs to learn how to pitch. I can see the Harvey-Wheeler tandem anchoring the top of the Mets rotation for years to come. Question 5….Travis d’Arnaud? This guy needs to play this season. Even if he only notches games the last 5 weeks. We need to see him field…we need to see him hit. This guy is projected as a MAJOR piece of the Mets puzzle going forward. Hopefully his injury bug will go away and he can resume his career path. As in the case of Zach Wheeler, he needs more time playing in the major leagues to get him up to speed. I believe d’Arnaud is going to be a great one. Question 6…What about Terry Collin? I think Terry has done an admirable job considering the team he has to work with. I believe he should get a shot to manage the real team that they will become in 2014. Will he get that chance? Hate to say it but I don’t think he will. Too bad. He’s a fiery guy with a lot of baseball smarts and players seem to want to play for him. This entry was posted in Baseball, NY Mets, Pop culture, Sports and tagged Harvey, Josh Satin, Marlon Byrd, Matt Harvey, METS, Sandy Alderson, Stephen Strasburg. Bookmark the permalink. 1- Harvey is a work horse, no need to baby him now ,but don’t abuse him. When we are out of it, which will happen, then pull back. We may have many years of enjoying his talent. 2- Ike is starting to remind me of Dave Kingman and not Hernandez , at the end of the day you see impressive home run numbers and rbi..but did he really help all that much ? Ike along with Tejada have to either turn it around soon or we need to look in a different direction for those positions. Both have the talent…but do they have the mental make up to be successful ? 3- this group is finally playing like a team, lets keep it together to see how it grows then open the wallet for free agents next year. 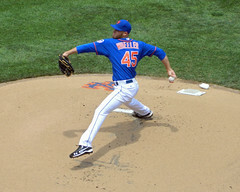 4- totally agree on Wheeler. Much rougher than Harvey, but there is a powerful arm there to work with. These two will be the foundation of our future. 5- D’Arnaud..the one player who will make Alderson either a genius or just another GM. I have not been able to get my arms around this guy yet because of the injuries. 6- love Collins work ethic and enthusiasm , I do question some of his moves..but as I said previously we are playing as a team so keep Collins. Finally, we may be seeing some light at the end of a very dark tunnel. We need to finish strong, no we are not going to make the post season, play 500 ball the rest of the year and be entertaining. Then in 2014 we hope the young arms mature, D’Arnaud stays healthy and the Wilpons open the wallet to get a slugger, an outfielder and a bull pen. As they always said in Brooklyn…wait till next year ! In th etime since I wrote this Wheler picked up his 4th win of the season and the Mets just trounced the Nats 11-0 in the first game of a twi-night doubleheader. At least they are making it fun and interesting fro a change! And in the time since you wrote that reply , they blew another great performance by Harvey and have lost 3 in a row. Like we said, they are a work in progress and there will be bumps along the way. Bumps, bruises and various frustrations but I do think they are heading in the right direction. Only time and the games will tell.